Whitaker, Reg. "Political Protest". The Canadian Encyclopedia, 28 May 2018, Historica Canada. https://www.thecanadianencyclopedia.ca/en/article/political-protest. Accessed 18 April 2019. Political protest is the kind of political activity, eg, demonstrations, strikes and even VIOLENCE, usually but not always undertaken by those who lack access to the resources of organized PRESSURE GROUPS, or by those whose values conflict sharply with those of the dominant ELITE. On 14 October 1976, 1 million Canadians went on strike in support of the Canadian Union of Public Employees. Political protest is the kind of political activity, eg, demonstrations, strikes and even VIOLENCE, usually but not always undertaken by those who lack access to the resources of organized PRESSURE GROUPS, or by those whose values conflict sharply with those of the dominant ELITE. Sometimes a protest centers around a specific issue or set of issues; at other times it is concerned primarily with the general grievances of such groups as ethnic or linguistic minorities, farmers, women or youth. Political protests may arise from any sector of society, and they reflect either left-wing or right-wing ideology. When protest movements resort to extraparliamentary means of expression, the STATE usually responds with repression, with some form of symbolic accommodation, or a mixture of both. Where the leadership of a protest movement is itself middle class, accommodation is often facilitated by some form of co-optation of the leadership into the political process. In such cases, the protest movement itself tends to become institutionalized as a new organized interest group which participates, however uneasily, in the process. Sometimes such movements themselves evolve into political parties organized around their particular protest issue or issues, become contestants in the electoral and parliamentary processes, and more or less abide by the established rules of the game. At other times, protest movements are met by repression and become violent, resorting to TERRORISM or civil insurrection. Some movements have tried to steer a middle course between violence and co-optation by carrying out peaceful civil disobedience. 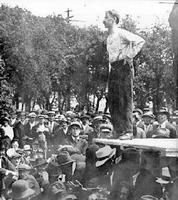 Protest movements in Canada, which were concerned particularly with the economic grievances of farmers and workers, erupted in the early part of this century. Farmers adopted various tactics to bring their grievances to the attention of the Canadian state, culminating in farmers' protest parties which won office in Ontario, Alberta and Manitoba, and became briefly the second-largest party in the House of Commons after the 1921 federal election. Once in office, however, the farmers' parties behaved very much like the previous Conservative or Liberal governments. 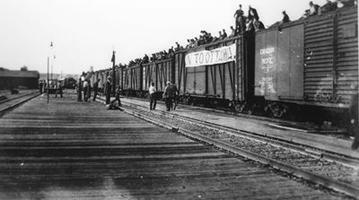 The protests of workers in 1919 against low wages, poor working conditions and the refusal of employers to recognize unions resulted in the WINNIPEG GENERAL STRIKE. The government responded with repression. Another important protest movement early in the century was the WOMEN'S SUFFRAGE movement which engaged in widespread agitation. The grant of adult female suffrage in federal elections (1918) resulted in a decline of this early feminist movement, which had concentrated its energies on the issue of the vote. The GREAT DEPRESSION of the 1930s, with the consequent misery of unemployment and economic collapse, sparked many protest movements, several of which, radical or socialist in nature, challenged the dominant values of private enterprise. 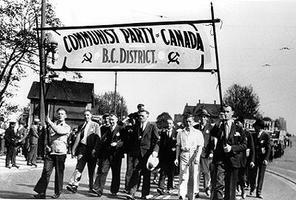 The CO-OPERATIVE COMMONWEALTH FEDERATION was founded to give political direction to many of these movements, while the COMMUNIST PARTY OF CANADA offered a yet more radical form of expression. Police repression against radical protest, especially strikes, and marches and demonstrations of the unemployed, such as the ON TO OTTAWA TREK of 1935 (which resulted in a bloody riot in Regina), were common. There were also populist right-wing protest movements, grounded in the ideology of FASCISM, in the 1930s, especially in Québec (see also KU KLUX KLAN). During WWII there was a widespread and popular protest movement in Québec against the imposition of CONSCRIPTION by the federal government. This movement, which led to the formation of a political party, the BLOC POPULAIRE, encountered a certain amount of repression, but was sufficiently popular to force the federal government to delay imposing conscription until 1944. During the 1960s, political protest became a familiar part of the political process (see HIPPIES; NEW LEFT). Antiwar demonstrations against nuclear weapons and the Vietnam War; student and youth protests; feminist movements; protests against racial discrimination; protests by community associations against urban redevelopment schemes; and protests against attacks on the environment imparted a new and more clamorous tone to Canadian politics. Perhaps the most serious protest movement of this decade was the movement for independence in Québec, which assumed several forms. The FRONT DE LIBÉRATION DU QUÉBEC, a violent and revolutionary wing, used bombings and terrorism. 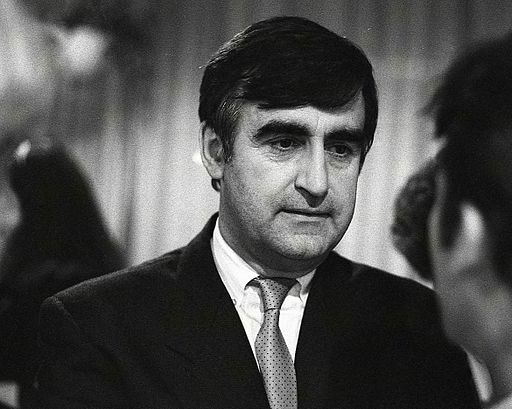 In October 1970 the kidnapping of a British diplomat and the kidnapping and later murder of Québec Cabinet minister Pierre LAPORTE led to the imposition of the WAR MEASURES ACT. With the virtual disappearance of the violent separatist movement, a moderate, constitutional wing devoted to independence for Québec grew stronger around the PARTI QUÉBÉCOIS, which came to provincial office in 1976 (see SOVEREIGNTY-ASSOCIATION), an instance of a protest movement that was sufficiently respectable and institutionalized to become the government of a province. The WOMEN'S MOVEMENT remains an important protest movement in Canada. Women's groups, although diverse, have become a permanent source of protest and pressure on a wide spectrum of issues. Environmental and ecological groups (see GREENPEACE) have also continued to exercise pressure over issues such as ACID RAIN and the dangers of nuclear power and industrial POLLUTION. Native groups have become increasingly vocal. In the early 1980s the antinuclear peace movement mobilized large numbers of protesters across Canada, especially against the testing in Canada of the American Cruise missile. More traditional sources of protest have also continued: labour unions mounted the largest demonstration on Parliament Hill in Canadian history in 1982 to protest against high INTEREST rates and UNEMPLOYMENT; farmers have mounted protests against farm foreclosures and against changes in the CROW'S NEST PASS AGREEMENT (see NATIONAL FARMERS UNION). Another feature of protest movements in the late 1970s and 1980s has been the emergence of widespread right-wing and populist (see POPULISM) protests. Protest campaigns against bilingualism and metrification, the movement for western SEPARATISM and the movement against ABORTION (eg, the Pro-Life Campaign) have all shown that protest movements are no monopoly of the political left. In the 1990s yet another dimension has been added to protest movements, with a renewal of left-wing protest. Drastic moves by governments to eliminate deficits and downsize their operations have led to widespread protests by people directly affected by cutbacks and by citizens concerned about sharp shifts away from welfare state policies. The most spectacular of these were a series of one-day strikes and huge demonstrations in Ontario cities in 1995-96 against the policies of the provincial government of Premier Mike HARRIS and his Conservative "Common Sense Revolution," but other protests against both federal and provincial cutbacks have taken place elsewhere in Canada. Protest movements are now a normal part of the political process. In some cases frustration breeds violence, which in turn brings on repression. In other cases, protests have been successful enough to win wide acceptance and have been met with accommodation. The dangers of co-optation for relatively successful protest groups are considerable; in such cases the protest group leadership is integrated into the normal political relationships between government and interest groups, and the original protest may tend to fade away. The dangers of electoral success for protest movements that evolve into protest parties is that the original cause may itself become a victim of success, as the cause becomes submerged in the day-to-day electoral politics of political parties. Centre for Constitutional StudiesThe official site of the Centre for Constitutional Studies at the University of Alberta. The Centre was founded to encourage and facilitate the interdisciplinary study of constitutional matters both nationally and internationally.